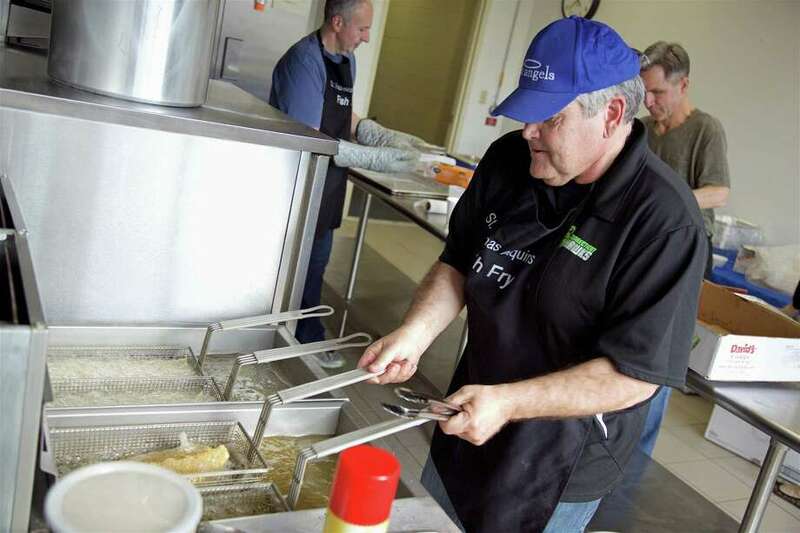 FAIRFIELD — Anyone hungry for some good community, as well as fine finned fillets, enjoyed a visit to the fish fry event at St. Thomas Aquinas Catholic School on Friday. More than 100 people showed up for the fish extravaganza, which featured baked, deep fried, and a host of side dishes, as well as live music and a quantity of laughter. Many people also got to phone in their orders for the popular food fest. “It’s just a nice get-together,” said Ann Carfagno, of Fairfield, who goes each year with a couple dozens seniors and reserve a large table.